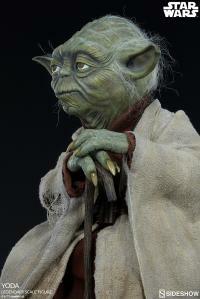 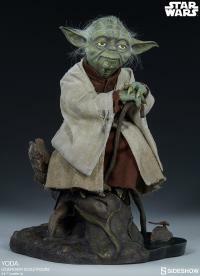 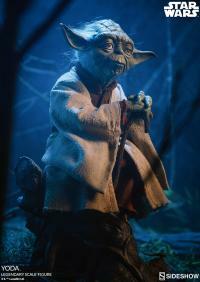 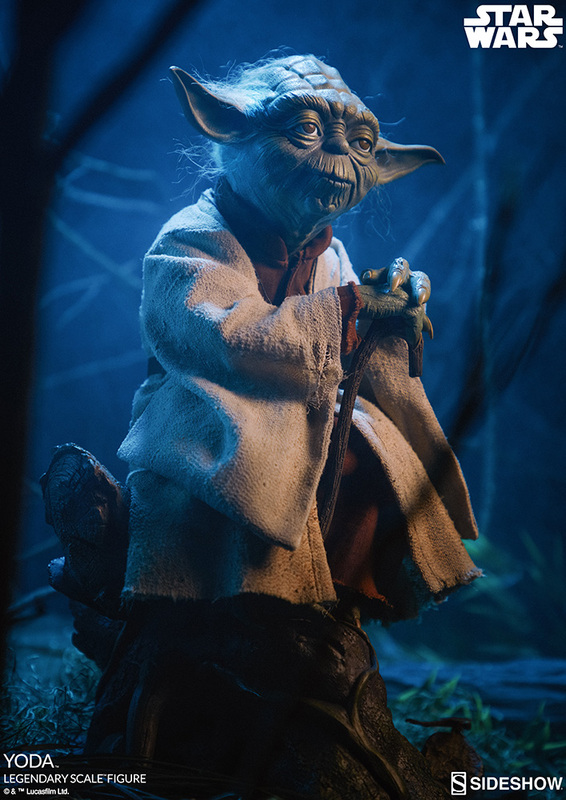 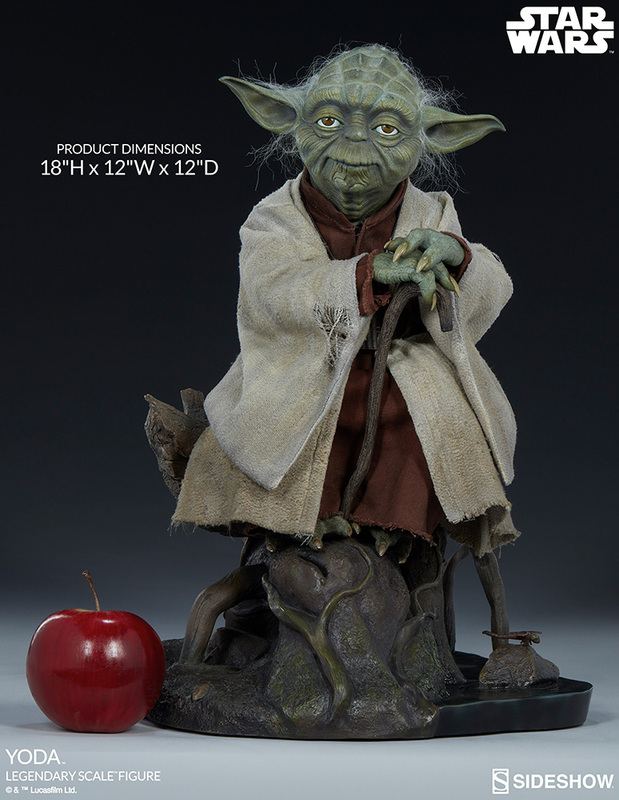 Proud to present the Star Wars collectible Yoda Legendary Scale Figure, Sideshow is. 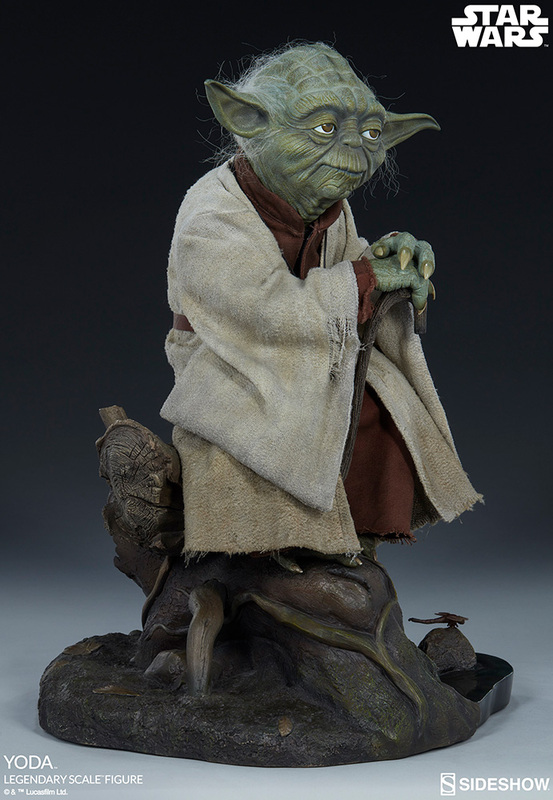 From the swamps of his home planet, the Jedi Master Yoda has been rendered in astonishing detail with this new half scale collectible inspired by his appearance in Star Wars: The Empire Strikes Back. 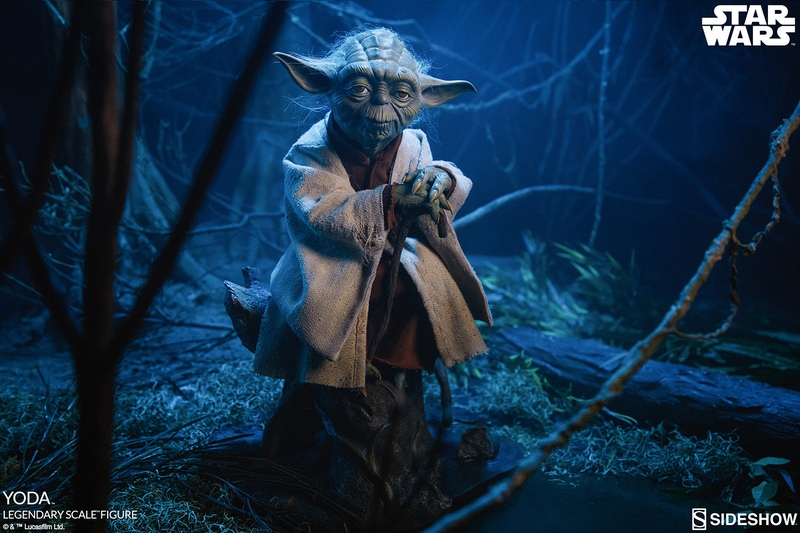 Measuring 18” tall, Yoda is resting on a tree branch on a Dagobah environment base, surrounded by the native flora and fauna. 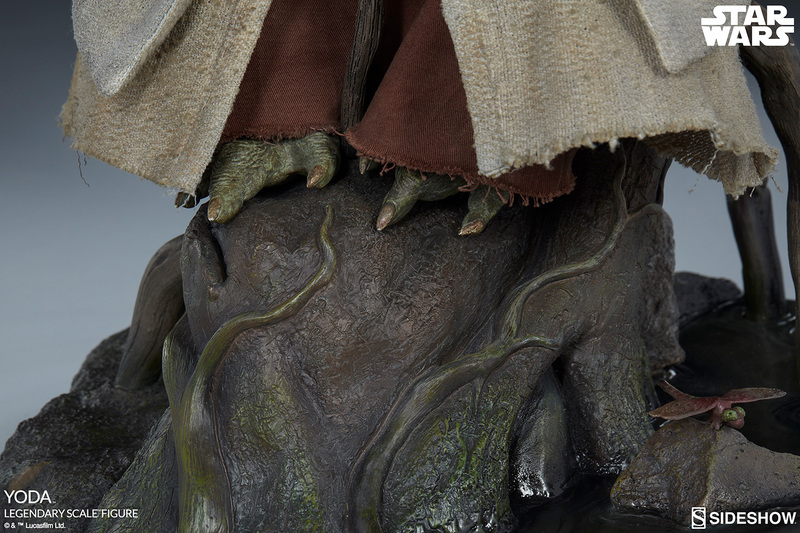 From his detailed portrait down to the sculpted nails of his hands and feet, this collectible lovingly captures the magic of Frank Oz’s original puppet. 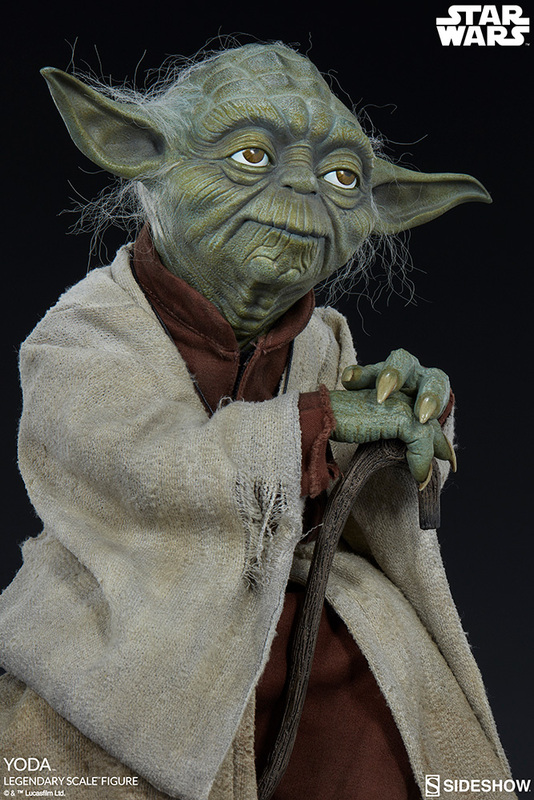 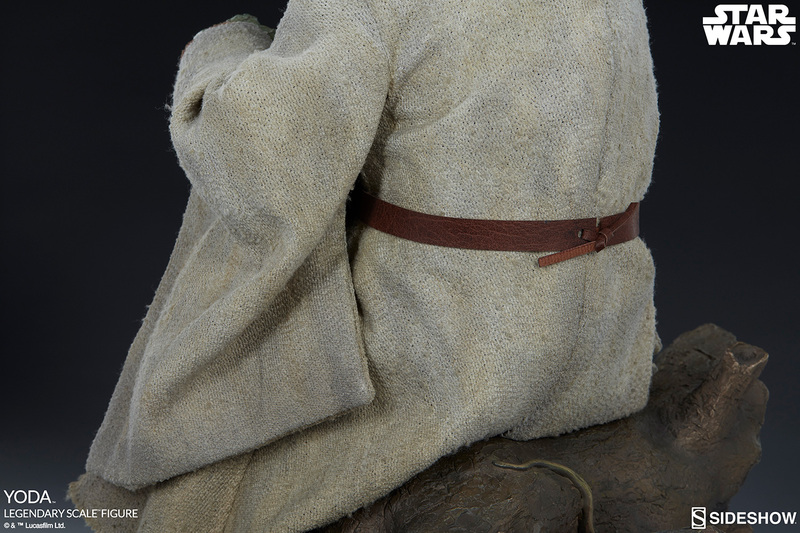 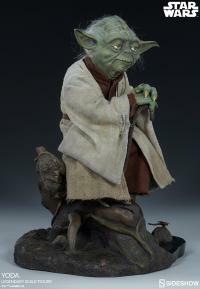 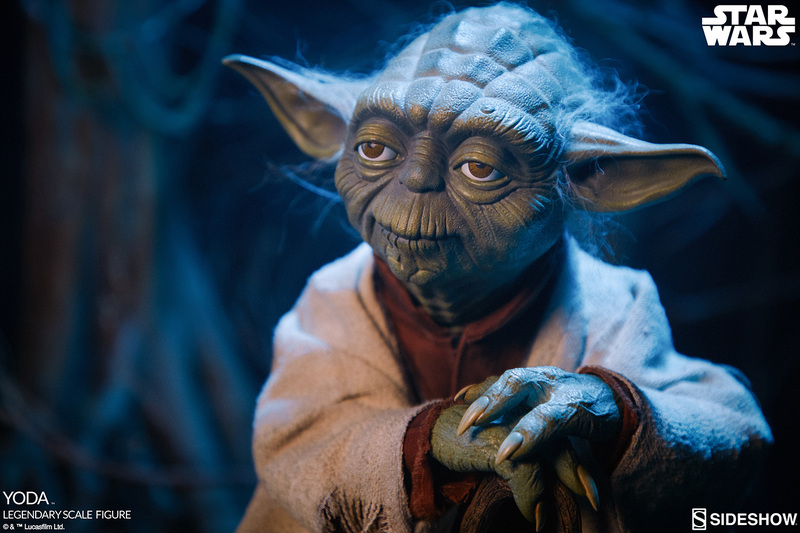 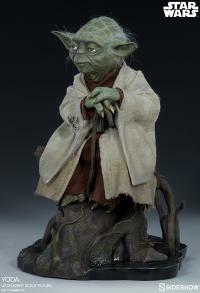 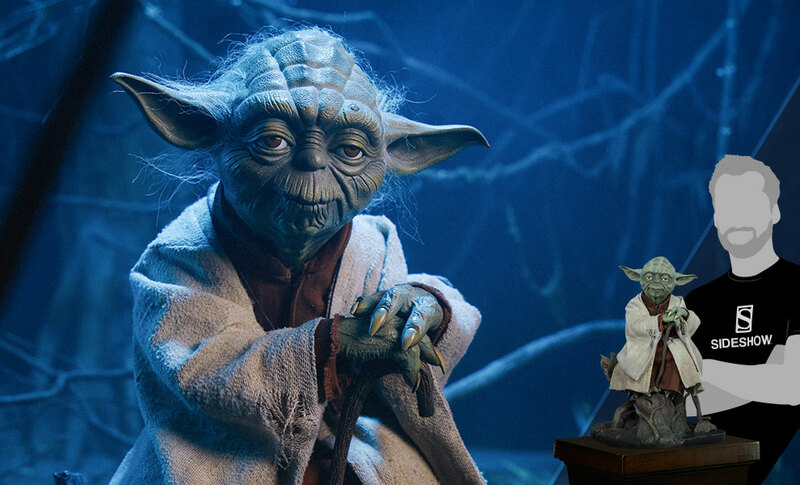 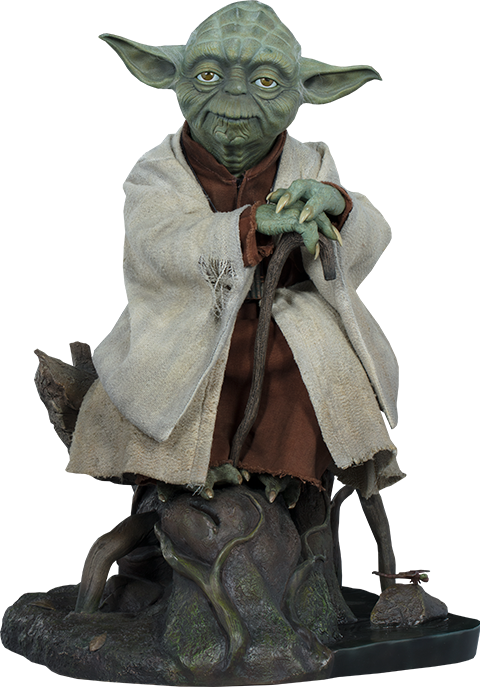 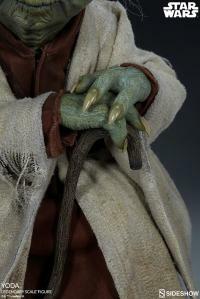 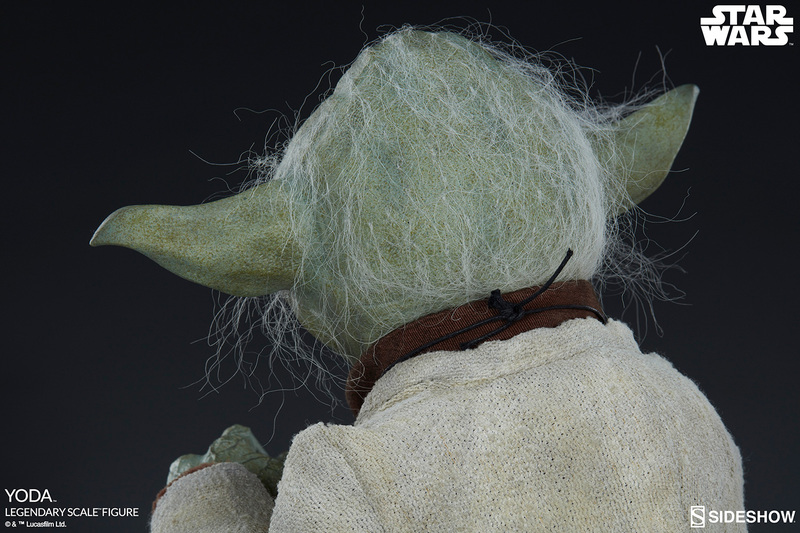 The Yoda Legendary Scale Figure has a custom-tailored fabric costume with weathering to reflect the aging of Yoda’s Jedi robes. The wise Jedi Master has a contemplative, peaceful expression on his detailed and wrinkled portrait, complete with synthetic hair elements. 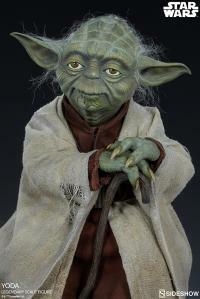 Yoda even has his blissl instrument hung around his neck, just as he wore it in the swamps of Dagobah. Have this figure, you must! Continue your Jedi training and add the Yoda Legendary Scale Figure to your galaxy of Star Wars collectibles today. Totally Awesome piece :). 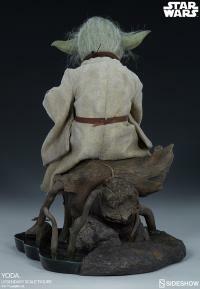 I was making Yoda noises as I put him together lol ;). Really love the hair and even the little insect. 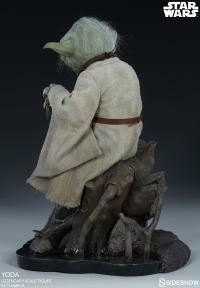 I would of liked more insects or a lizard like the Iron Studios piece but I can always add those later. 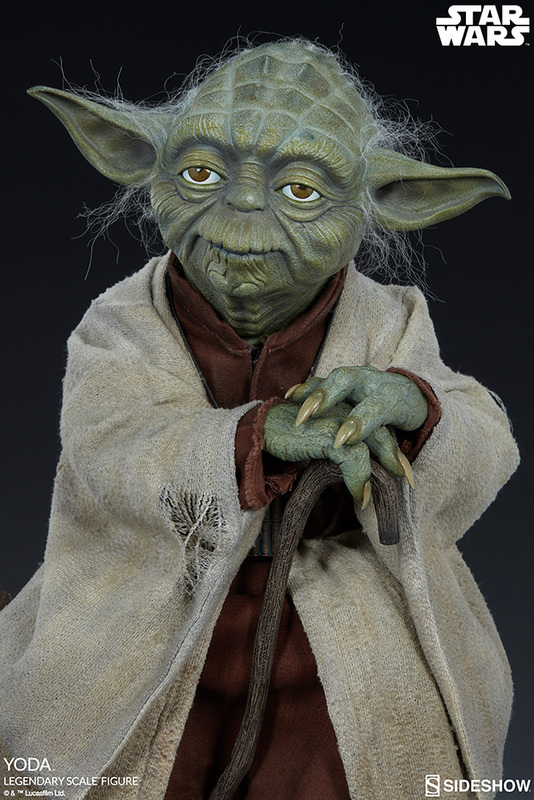 9.5/10 all day!. 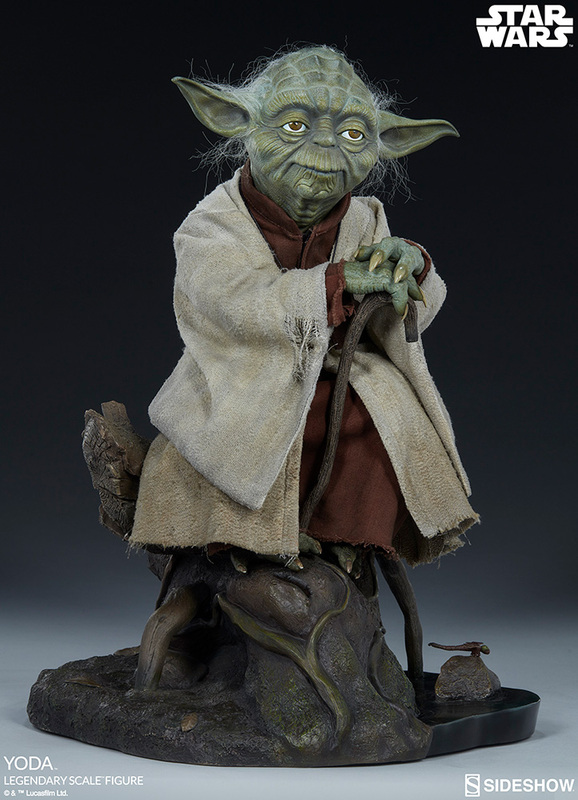 Got the Yoda Legendary Scale statue today. 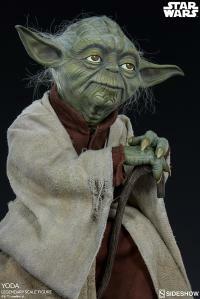 I am amazed at the likeness reflected in the portrait. 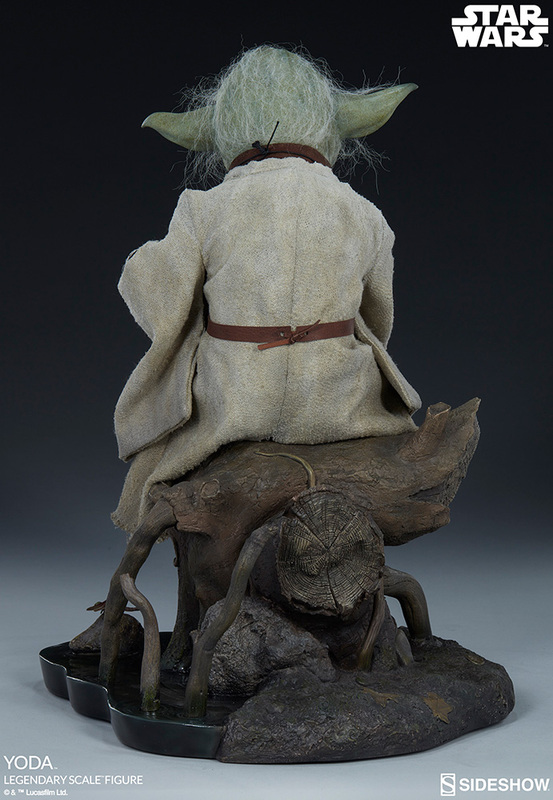 An amazing piece! 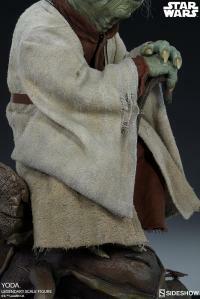 Nice job sideshow.